Anyway, I thought it would be a nice time to look back on my potted career in the sport…and why it’s so much fun. 5 years ago, I spent my 23rd birthday up at 6am to compete in my first duathlon. Someone at my then running club had suggested the races at Box End Park, just west of Bedford – and I spotted they had an off-road duathlon. I wasn’t doing much cycling (pre buying a road bike or two) other than the odd MTB session around the Chiltern Hills at the weekend. However I was doing a fair amount of running, I’d done a 3.41 in my first crack at the marathon earlier that year and was in semi-decent run shape ahead of cross country season. 3. I was first woman. But, there were only 7 of us. I think (judging by my times) it was a 5k run, a something k bike and then a 5k run again at the end. And that was that. I think I then got sent a trophy in the post! My first win – how exciting. The main thing about this was spending the afternoon in A&E because mum came off her bike on a hill – and was helped up by a kind man that was not her husband. Luckily nothing broken just a super bad wrist sprain which was given a support and a significant number of painkillers. I think by this point I may have bought myself a road bike, so 2014 came with my foray into road duathlon with the Jekyll & Hyde in Hyde Park (clearly October is the right month for duathlons for me)I also did a Women’s only duathlon at the Velopark in Stratford…and that didn’t go too badly. 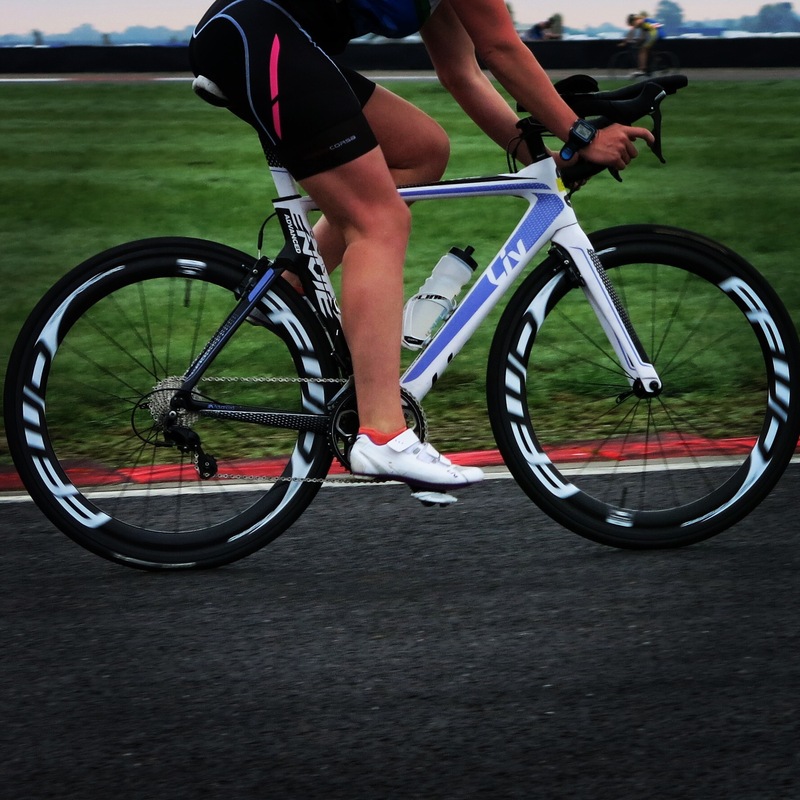 My duathlon career then continued into 2015 (also the year of my first triathlon) with another J&H and ANOTHER women’s only Velopark and then in 2016 I started to do a little bit more…My running was going well, I was getting a fair amount of commute bike miles in, OH and I had bought a new aero bike that really needed some more mileage. I raced Hawridge and St Albans, getting on the podium in both and realised I was doing alright at the smaller local stuff. Earlier this year, having spied a lot of other Clapham Chasers doing AG champs, I decided I might as well have a crack at it. Criteria is straightforwards, give intent to qualify, enter one of the qualifying races, finish top 4 in your AG. After careful studying of previous times, I decided it was doable. I chose Oulton Park and Bedford (a week apart) to give myself two cracks at it. If Oulton Park went well, Bedford was good practice and a nice end to the season, if it didn’t, I had a second opportunity. 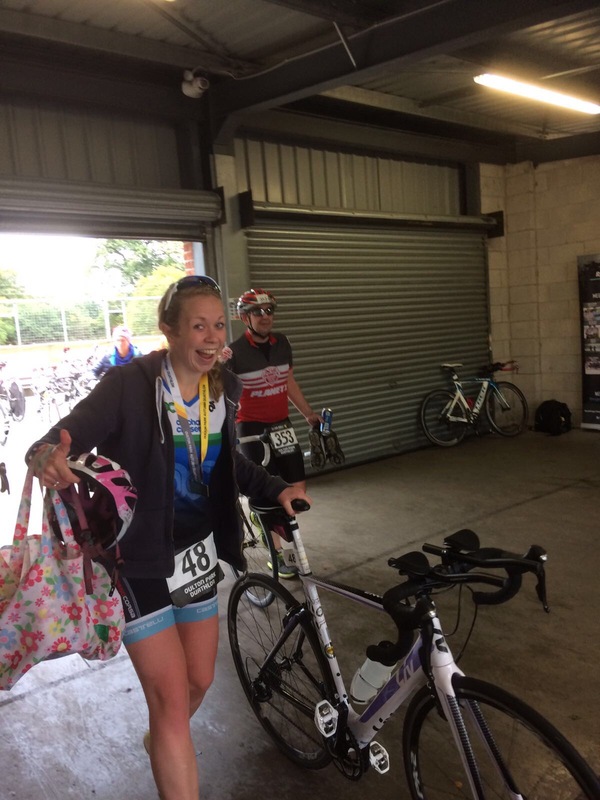 I had some good practice over the summer, giving the Ashridge duathlon series a go, going back to Hawridge, racing Stanborough tri and being super happy that the lake at Stewartby had algae so it was turned into a duathlon! Oulton Park meant an overnight stay in a Premier Inn but a pleasant 7.30 start. It’s not a flat course by any means and the distances are based on a lap of the track and therefore a bit off the usual distances. And this was pretty serious. 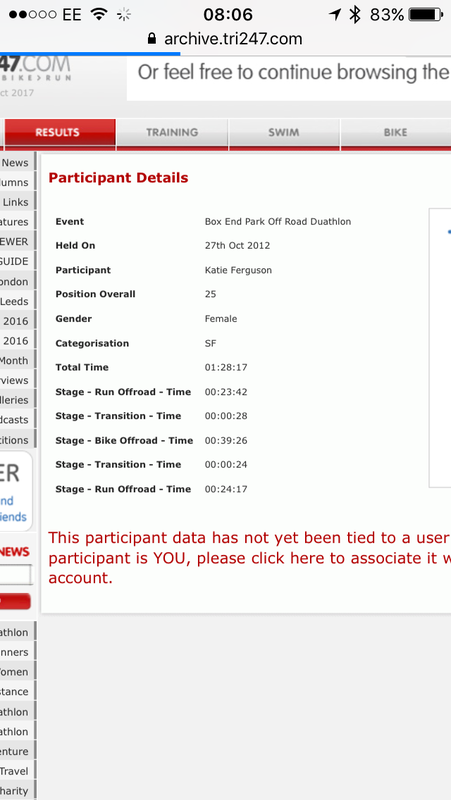 This was the biggest duathlon I’ve entered and it felt it at the start. Gulp. This is qualifying territory. This is proper racing. There is a man (several of them!) checking I don’t break any rules. There are penalties if I do something wrong. AAAAAAAH. Which therefore meant Bedford was a bit more relaxed. I could play a full game of netball the day before, I wasn’t overly stressed, I could give my new wheels a whizz, I didn’t mind getting up at 6am… In contrast to OP, Bedford is dead flat. And was windy. Which is awful if you’re trying out your new 60 deep sections, you still aren’t 100% comfy on your tri bars and your bike handling skills on 180 degree turns aren’t great…so yeah. I’ve had better bikes. A few thank yous to wrap this up – my parents, for frequently driving me when I’m too tired after a race, standing in the cold, cheering me, buying me food, listening to me run through my checklist for the nth time – specifically then my dad for fixing my bike 90% of the time, my mum for ringing a cowbell and having the loudest voice ever…my sister for literally being dragged to 75% of races despite hating running, my boyfriend for his motivational pep talks, buying me cycling presents and accepting that our life mainly revolves around me…hey DW for training with me and sometimes beating me in races …anyone at Clapham Chasers who has been a helping hand along the way…there is a lot of thanks! I hope you all now have the Vengaboys stuck in your head. Over and out.